Today we had our regular Friday Co-Op. Sickness seems to have taken hold of the group, as nearly half the families were absent. But those who attended enjoyed working on History (Story of the World Book 2, Chapters 14-15). They learned about English history and built or drew castles out of a variety of materials. After lunch, we attended the Homeschool Players at the Dublin Grange Theatre. The kids are working on a Dr. Seuss-ified version of “MacBeth”, which will be presented along with the Afterschool Players’ Seuss-ified version of “Hamlet”, in mid-March. This was the last week of new material in MCHS, and we are all a little bummed that this session is coming to an end so soon. This week, the kids learned about the Northern Lights. Then they had to build an observatory with “northern lights” in the sky. Most kids opted for colored panes of glass; I think O8 used wool because she liked the colors more saturated. I have not grabbed the screenshot off her computer to verify that, however. Next week the servers are open for the kids to visit any of the past weeks’ builds, or to play in the creative or PVP servers. 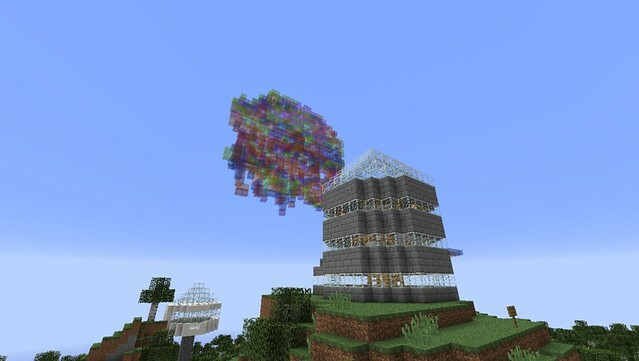 O8 has learned a lot about Minecraft, the subjects she studied, and also about teamwork and cooperative play. This has been a very good experience for her and we are signing up for the next session as soon as it is available! This week on MCHS, the kids learned about Mount Erebus, the ice volcano in Antarctica. The Learn It was actually a cool documentary done by a science writer who joined a team expedition to Erebus. They started in a little town in Australia, took a helicopter to Ross Island in Antarctica, and climbed the peak (mostly by helicopter, but still– cool.) 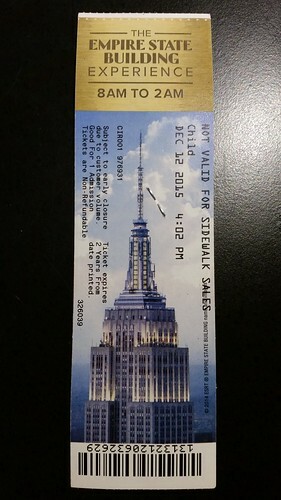 The film was especially interesting because it talked about the conditions on the mountain that the team would encounter and the preparations they needed to make to do the trip. O8 seemed rather interested in the whole thing, which was nearly 20 minutes long (lengthy, by her standards). 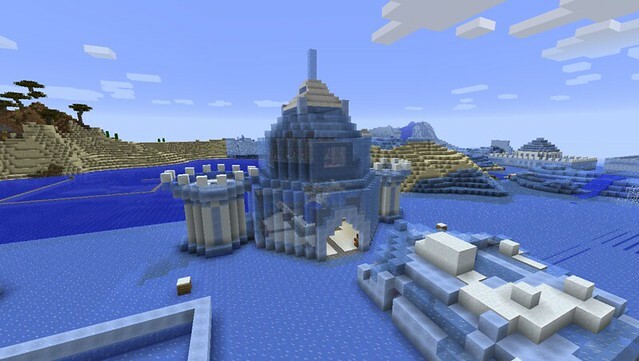 After the quiz, she started on her build: an ice castle. This week on MCHS, the class is learning about the Volcán de Parícutin, which appeared in a Mexican cornfield. After reading and watching a video about the Volcano and the Ring Of Fire, O8 took her quiz. This is the first time she missed a question, and she was kind of bummed about that (a good sign, in my opinion!) After the Learn It section, she headed over to the Minecraft server to work on her Build It project. 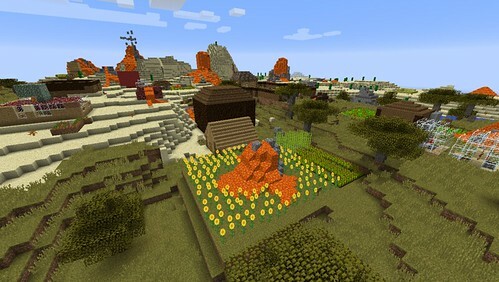 The assignment was to build a farm field and place a volcano in the center of it. 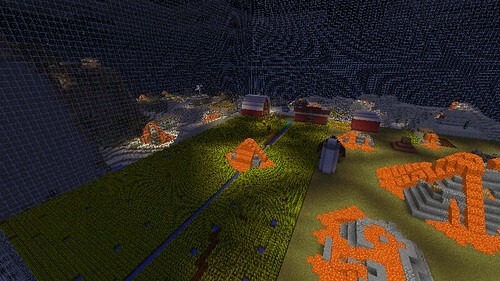 The team build project was to make a village surrounding a farm, with a volcano in the center. 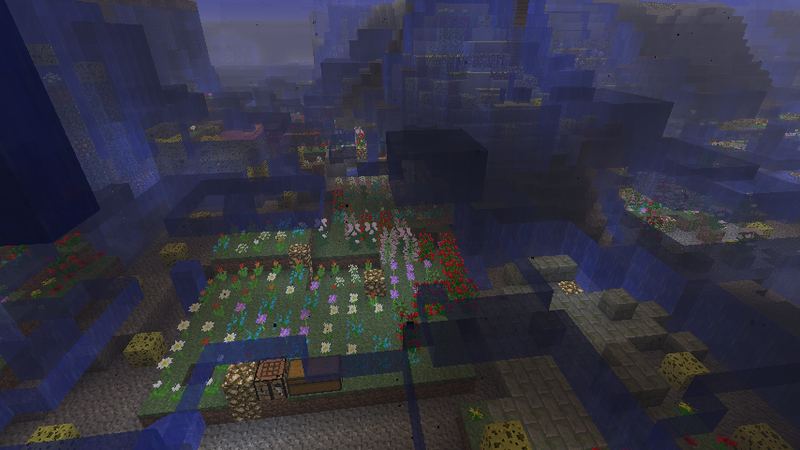 This week on Minecraft Homeschool, O8 is learning about the Great Barrier Reef. For her Learn It assignment and quiz, she had to watch a video from National Geographic about reefs in general and the Great Barrier Reef itself. She scored 100% on her quiz, which has made her quite proud. The Build It assignment was to make a section of reef using sponge (which, in Minecraft, opens a volume of air above it that the Player can survive in), dirt, sand (for cacti) and plants that would resemble individual polyps. There was also a Team Build where players were encouraged to connect their builds to make the Great Barrier Reef. First, she had to do a Learn It module, which consisted of reading materials about Grand Canyon on the National Park Service’s website. We visited Grand Canyon in 2011, which she still remembers (who remembers things from when they were 5?!) After the quiz, on which she scored 100% (and was rather proud of) she did her individual Build It. This was to be a shelter that was camouflaged from any casual teacher or principal flying through the Grand Canyon. She chose a spot in the canyon wall that already had a little “crack” (empty block) and mined in one layer, over several blocks, and then into the wall before opening it up into a small room. We did not do the team build project as we ran out of time, and she wanted to move on to Week 2. I am hoping she will come back to it before the class ends.